Past Tense is fuelled not by nerve-shredding tension or a confounding mystery, rather the tantalising inevitability of Jack Reacher’s collision course with a group of kidnappers who’ve abducted a young couple for an abhorrent purpose. It sticks to the trusted formula, and boasts the unpretentious, staccato prose Reacher’s legions of fans demand — and its insight into Reacher’s past makes it a worthy addition to the canon. Stop me if you’ve heard this one before: Jack Reacher, on his way no nowhere — well, the West Coast, if you must know — hitchhikes his way into a small, middle-of-nowhere town — Laconia, New Hampshire, in this instance — and steps right into trouble. It’s the archetypal setup for a Reacher thriller, and Lee Child has mastered its unfolding over more than two decades and twenty-three books. Past Tense follows suit, for the most part, with two slight variances: Laconia is the place where Reacher’s father, Stan, grew up, which means this time there’s a personal connection; a history that Reacher wants to explore, for no other reason than he may never pass through the town again. And meanwhile, not too far away, in a isolated motel, readers witness the terror facing a young Canadian couple who find themselves unwilling participants in a psychotic game. Patty Sundstrom and Shorty Fleck are more than side-characters, or victims waiting to be saved by Reacher. They’re fully-formed, empathetic characters, whose storyline is actually more compulsive than Reacher’s. There’s an urgency to their plight, which doesn’t seep into Reacher’s enquiries until very late on in proceedings. And indeed, it’s fascinating, and exciting, awaiting the moment of intersection between these characters, which doesn’t last long, but is incredibly satisfying when it happens. Reacher’s mortality has floated to the surface in recent books, so too his own personal realisation of his complete and utter loneliness. Reacher’s interest in his family history maintains this theme, but thankfully, Past Tense is unblemished by the slight melancholic feel that pervaded the finale of The Midnight Line. Come the end of Past Tense, you’ll be fist-pumping the air and awaiting Reacher’s next adventure. There is no doubt: Lee Child and Jack Reacher remain the most reliable entertainers in the genre. Night School takes Jack Reacher back to his army days — 1996 to be precise —and hurled into a covert investigation in Germany, alongside an FBI and CIA agent, with world-shattering consequences. The stakes have never been higher than those presented here; the twenty-first Reacher novel. It begins in customary Lee Child style, which is to say, minimum exposition, immediate narrative momentum. No sooner has Reacher received a Legion of Merit medal than General Garber — a longstanding and important figure in Reacher continuity — reassigns Reacher to a school in Washington DC. But this is a school with (initially, at least) only three pupils: Reacher, an FBI agent, and a CIA analyst. And their orders are simple: to interpret chatter plucked from a source in Germany — the phrase “the American wants a hundred million dollars” — and dismantle whatever reprehensible scheme is in play. Night School is fast and furious, and epitomises what millions of readers love about Lee Child and Jack Reacher. All the trademark elements are here. Child obfuscates the magnitude of the threat Reacher and his colleagues are facing until very late in the piece —but the revelation lands with a dull thud. The stakes are too high in Night School; at least when one considers what Reacher has faced in previous novels. It makes all his other experiences pale in comparison — which might work in terms of continuity, since nothing has fazed Reacher in the inventing years, and maybe this is why — but the plot’s veer towards James Bond territory rings false, for me, at least. Other readers — and I’ll be intrigued to hear their thoughts — might think differently. Structurally, however, Night School is immensely satisfying. Few writers are able to build momentum as effectively and concisely; and Child’s brusque prose remains as delectable as ever. Lee Child has the secret sauce, that unrivalled ability to craft genuine page-turners. In my mind, Night School doesn’t rank up there with the very best of the Reacher novels, but that said, I couldn’t put it down, and am eagerly awaiting the next one. It can’t come soon enough. As a writer – an aspirant rather than a full-fledged one – I churn through books about writing every year. I know, I know – a writer must write. There is only so much time a person can invest in books about the craft before you must put pen to paper, or put your fingers on the keyboard – whatever your preference. But I love reading about process. I’m so fascinated by various authors’ methods and beliefs. I read Stephen King’s On Writing not for advice, specifically, but to learn about how the grandmaster writes. Of course, I picked up some tips along the way, but I never jumped in thinking this will define how I write. Stephen King is about to unlock my muse! The same goes for Andy Martin’s book. I was tantalised by its description. The blurb sold me. ‘Reacher Said Nothing is a book about a guy writing a book.’ That ‘the guy’ in question is Lee Child, one of my all-time favourite authors, was merely icing on an already irresistible cake. 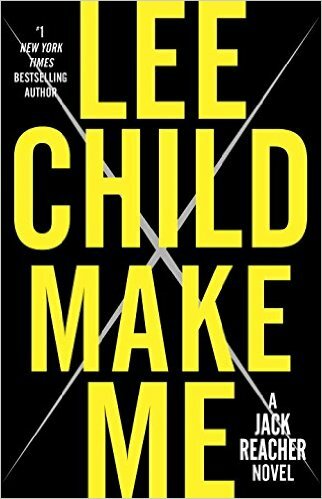 When I finished Reacher Said Nothing – less than 48 hours after starting it, I should say – I felt like I’d really gotten to know Andy Martin and Lee Child. Not personally – not in such a way that’d earn a fist-bump or a high-five were we ever to meet (to be fair, they strike me more as fans of the traditional handshake, which’d be fine by me) – but regarding their perspectives on fiction, on the creative process, on writing in general, I felt like they’d pretty much responded to every question I’d ever have for them (which’d leave me dry on topics for conversation, since my interests are very singular). This isn’t a book about How To Write Like Lee Child, or, in fact, Lee Child’s Guide To Writing a Bestseller: it’s quite literally a book about the writing of a specific book. But along the way it offers some extraordinary insight, and indeed plenty of advice, for aspiring writers, and readers wishing to better comprehend the art crafting of a novel – or at least one author’s methodology. “It not 100 per cent,” says Lee Child, writing Make Me, on the subject of achieving ‘perfection.’ “It never quite lives up to the hope,” he continues, before Martin adds: “Success was always tinted with the colour of failure.” Which demonstrates just how vital Martin’s additions are. It would’ve been simple, of course, to transcribe Child’s thoughts on that day’s writing; but by bearing witness, physically being in the room with Child as he put words on the page – on the first, and only(!) draft, Martin is able to dig deeper than any genteel interview possibly could’ve. We’re there for the days when his progress stalls and the days when he hits the keyboard hard; the highs and lows, the peaks and valleys. Martin’s text reminds us that, ultimately, like all of us, Lee Child has his good days and bad, but he persists, and somehow, always (twenty occasions to date!) pulls through with the goods. And although his novels are deemed ‘thrillers,’ and ‘not serious literature,’ real effort goes into crafting each and every sentence. They are page-turners for a reason; it’s not by accident. Child’s books are intentionally-crafted. They are constructed, word by word, sentence by sentence, paragraph by paragraph. There is a rhythm, perhaps not perceptible to every reader, but it is vital to Child’s success. So, Reacher Said Nothing does not reveal Child’s ‘formula.’ In fact, his off-the-cuff style – Child does not work off a plot, does not have a story in mind when he starts typing – is terrifying for someone like me, who need that blueprint. But the spotlight Martin shines is undeniably fascinating, and darn near unputdownable. More books like this, please! While Killing Floor was an insular, lightly introspective thriller – narrated in the first person, its plot closely tied to Reacher’s past – the second Jack Reacher novel ups the stakes, and is a broader, more convoluted page-turner; told in third-person, packed with a ton of characters and various narrative threads, all of which tie together in a satisfying climax. Die Trying is the perfect second novel in a series, taking what hooked readers in the first place and magnifying those elements. It starts in typical fashion: Jack Reacher, in the wrong place at the wrong time, on this occasion alongside a beautiful FBI agent named Holly Johnson, who is the target of a kidnapping in broad daylight on a Chicago street. The question is, why? As far as Feds go, she’s low-level; new to the bureau, with seemingly little value as a hostage. But that’s a question for later; initially, for Reacher, it’s about survival: both his and hers. Then, when the kidnappers’ intentions become clear, it’s about vengeance. Much like in Killing Floor, the Reacher presented here is significantly more vulnerable and emotional than what readers have grown accustomed to. There are moments in Die Trying when Reacher feels genuine fear; he doubts himself and his abilities on more than one occasion, but these humanising moments work wonders for later on in the novel, when he starts dishing out his special brand of justice. Without them, Reacher would be little more than a caricature of an 80’s movie action hero; soulless and cruel. Child plays his cards right, developing his protagonist with aplomb. With a strong female lead – Holly’s one of the most kick-arse heroines Child’s ever created – and its unrelenting pace, Die Trying is a top-tier thriller, just as good as Killing Floor, and still one of Child’s finest. The first Jack Reacher novel — and still one of the best. One of my favourite things in life — seriously, one of my absolute favourite things— is re-reading my favourite series and charting the development of the author and their protagonist. Over the past couple of years, I’ve re-read Michael Connelly’s Harry Bosch novels, and have returned to Ian Rankin’s Rebus novels. I’d love to delve back into Matthew Reilly’s work — Ice Station was such a monumental book for me and completely obliterated my perceptions of what a written narrative could accomplish. But for the foreseeable future I’ve reunited with my old friend: the nomadic harbinger of justice, Jack Reacher, and his creator, Lee Child. I’ve bemoaned the staleness of the ‘Reacher formula’ in recent years — the most recent novels in particular, Personal and Make Me — and have been trying to decide whether my tastes are somehow evolving, whether I’m the problem, or if the latest novels just haven’t quite hit the heights of their predecessors. Not that Mr. Child should be particularly perturbed by my criticisms: his books remain bestsellers, and I’ll remain loyal to Jack Reacher for a long time to come. Understand, I’m not saying Personal and Make Me were bad books — they were just 3-stars rather than the usual 4 or 5. Killing Floor is fascinating for several reasons, particularly when examining the text with the gift of hindsight. Reacher is far more talkative in his debut than he is today; far more excitable and eloquent, and prone to moments of fear. Everything we love about him is there, but he hasn’t quite been firmly moulded yet; Child is still working out the kinks in his design, manipulating the character’s traits into the perfect protagonist. Same goes for Child’s prose; it’s still in the developmental stage, still being refined, but damn, it’s still a level above the competition. The novel is set in Margrave, Georgia — a throwaway town in the middle of nowhere, but a place Reacher has never been, so it’s worth a stop. Besides, his brother Joe mentioned a blues musician named Blind Blake died there; perhaps there’s a plaque. But not long after he sets foot in the diner, Reacher is arrested for murder, and quickly becomes ingrained in a deep-rooted counterfeiting operation. Killing Floor is pure Reacher, and follows the formula that made Child’s novels mega-sellers: the hero walks into a town and rights its wrongs. Simple, but effective; done to death, but somehow elevated in Lee Child’s hands. Killing Floor remains a wonderful thriller, full of brilliant characters and the heart-thudding tension the series is now famous for. Scenes that particularly stand out include Reacher’s visit to the local penitentiary, where he’s wrongfully isolated in general population, and Reacher’s brutal takedown of the men hired to kill him on a stormy night, thunder crackling above. It’s great stuff, and you won’t read better choreographed scenes. So, a fine start to the series, then. And a reminder of why I fell in love with Jack Reacher, and Child’s thrillers, in the first place. If memory serves, I liked Die Trying even more. We’ll see. We no longer question whether we’ll get a new Jack Reacher novel each year. Excitement for each new instalment in Lee Child’s long-running series is based on which city or town Reacher will wander into next, and the type of depravity he’ll face up against. By now, with twenty novels under his belt, we are accustomed to Reacher dishing out his particular brand of justice, bedding his female companion along the way, and ending his four-hundred-page escapade with his thump pointing at the sky, awaiting his next journey. It’s never been any secret: there is a formula to these bestselling novels. And while I’ve read – and enjoyed – every single one, Reacher is growing stale; for me, at least. There is no doubting Child’s ability to craft a page-turner thriller. He is a grandmaster at his craft, and his legion of fans will undoubtedly enjoy his latest – and for good reason. 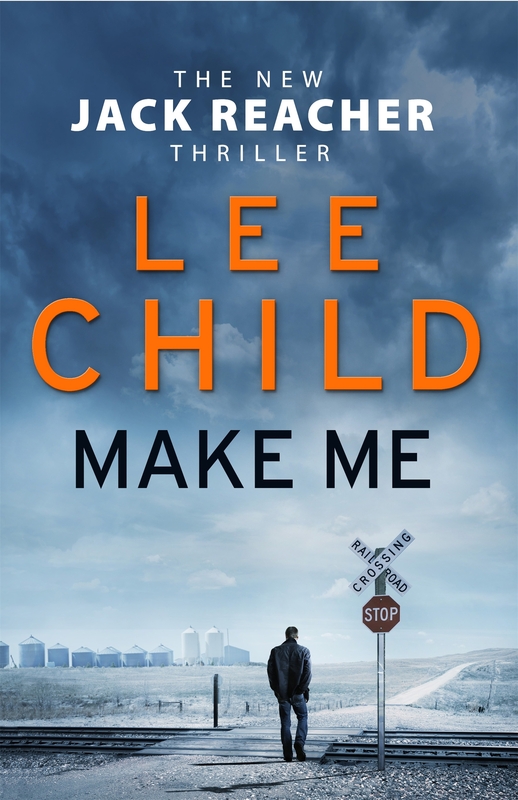 Make Me is packed with all the essential Reacher elements. Which is essentially my problem with it. There’s nothing here we haven’t seen before. Reacher has taken on far more fearsome foes. He’s solved more compelling mysteries. Make Me feels like just another Jack Reacher thriller. I read it, enjoyed it, put it down… and that will be the extent of my relationship with it. It’s not Persuader; one of Child’s rawest, most brutal thrillers. It is not The Enemy; a brilliant flashback to Reacher’s days as a military cop. And it’s not One Shot, which features one of Reacher’s most enthralling investigations. It’s just another Reacher novel. And I want more, damn it; something resonant. Something to propel the series forwards another twenty instalments. Make Me begins with Reacher arriving in the small town of Mother’s Rest for no good reason. And that’s absolutely fine. The name intrigues Reacher, so he steps off the train to check it out. That’s a very Reacher thing to do. He has an inquisitive mind. He’s instinctive. If wants an answer so something, he’ll go find it; sometimes it involves the cracking of skulls. Other times, just a gentle meander, which is all he intends his visit to Mother’s Rest to be. But almost immediately he’s drawn into the mystery of a private investigator’s disappearance. The PI’s partner – a woman named Chang – seizes on Reacher’s investigatory experiences, and utilizes his skillset to further her enquiries. Their quest for answers takes them away from the small town – to Los Angeles and Chicago, then back again – and along the way they confront a variety of unseemly characters, who are dealt with in typical Reacher fashion. But this time, Reacher’s not bulletproof – and what a breath of fresh air this is, seeing the bad guy get a couple of hits in; witnessing Reacher dealing with the consequences of a violent confrontation. Reacher’s almost-invulnerable status was exciting, once upon a time; more recently it has grown tiresome. It’s great to see Child acknowledge this, and dangles the possibility of repercussions further down the line. Our heroes need to display some degree of vulnerability; without it, they become caricatures. I never viewed Reacher as Rambo, but he was coming close. Make Me provides a wonderful step backwards. The first hundred pages of the novel are riveting. Child keeps the villain’s and their nefarious schemes shrouded in mystery; Reacher and Chang are literally chasing shadows and digging for scraps as they seek to uncover the truth behind the PI’s disappearance. But the ultimate reveal pales in comparison to the build-up. The climactic confrontation is sufficiently executed, but lacks the gusto of Reacher’s finest moments. Again, there’s nothing overtly wrong, here – it’s just lacklustre in comparison to the series’ best. The Jack Reacher novels were once synonymous with thrillers of the highest quality. There are intimations in Make Me that suggest the series can hit those heights again. I’ll be back in 2016, with my fingers crossed.